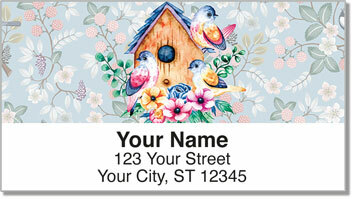 The charming illustrations on these return address labels feature birdhouses built with intricate detail. You'll find a two-story Victorian-era home, a classic colonial and a rustic cottage. 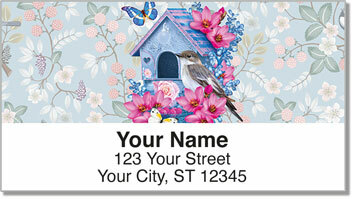 Anyone who puts up one of these stylish homes for feathered friends must really love birds! 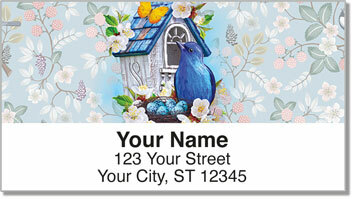 Fancy Birdhouse Address Labels from CheckAdvantage will make an attractive finishing touch for your letters and packages. But that's not all they'll do for you! The tedious task of preparing your outgoing mail is about to get a lot easier. Just peel and place these self-adhesive labels...because scribbling out chicken-scratch on every envelope is for the birds! 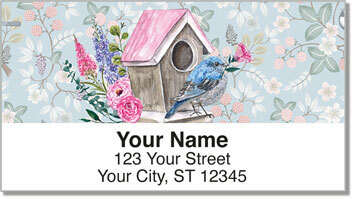 Get your own Fancy Birdhouse Address Labels today! You can also order matching personal checks!